In 2018, Xiaomi started to tease the launch of a smartphone with a whopping 48 MP camera. And now, the company has officially confirmed about the launch of the 48 MP smartphone. As expected, the company is launching a 48 MP camera smartphone under the Redmi series (Xiaomi Redmi 2 Pro? ), which is a budget smartphone lineup from the company. The Redmi smartphone bearing a 48 MP camera will be officially unveiled on the 10th of January 2019 in China. 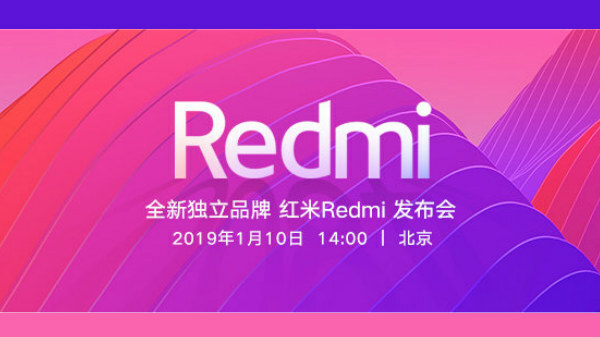 The teaser has a new Redmi logo, which will be unveiled along with the launch of the first Redmi smartphone with a 48 MP camera. As of now, there is no official confirmation about the specifications of the upcoming Redmi smartphones. Xiaomi started to focus on the camera-centric Redmi smartphones with the launch of the Xiaomi Redmi Note 5 Pro, and the Xiaomi Redmi Note 6 Pro took it a notch above. The upcoming Redmi smartphone is expected to be the best camera smartphone from the Redmi series of devices. The upcoming Xiaomi Redmi smartphone is most likely to run on the Qualcomm Snapdragon chipset (600 or 700 series chipset) with at least 4 GB of RAM and 64 GB of internal storage. A previous tease of the Redmi smartphone with a 48 MP camera did give a hint about the build quality of the smartphone. The device is most likely to have an all-glass unibody design with a water-drop notch display on the front. The upcoming Redmi smartphone is most likely to launch in India in the forthcoming weeks, and the device is expected to be priced under Rs 20,000 price point (at least for the base variant). As of now, there is no official confirmation about the launch of the 48 MP camera Redmi smartphone in India what so ever.